At Roots & Boots we provide the highest quality personal service to all our customers. From a simple lawn repair to a complete garden redesign. Size isn’t important, quality is. A general tip for all kinds of root crops is that the soil needs to be loose enough for them to send down roots. If the soil is compacted or rocky, the roots will become distorted and forked. 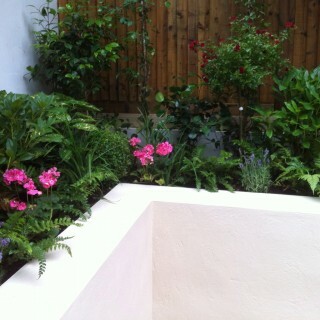 We are a fast, friendly and efficient Cheltenham based company offering creativity and garden expertise throughout Gloucestershire. 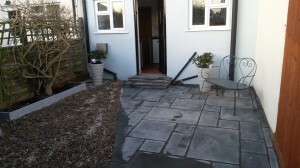 Due to the small, personal nature of the business, we pride ourselves on our ability to offer a more personal service to each client and maintain an effective quality control - from one off landscaping projects to regular maintenance. Whether it's maintaining and managing your existing garden, or providing fresh ideas in designing and creating your future outdoor living space, we’re here to help. With a consistent string of 5 star reviews on www.ratedpeople.com and recommendations spreading like wildfire, You can be confident that Roots & Boots will offer the high level of professionalism that you're looking for. 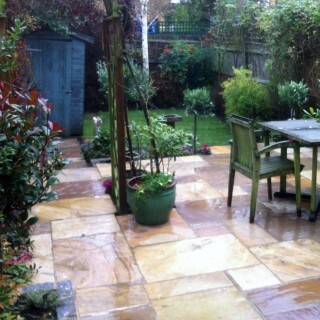 Fancy a colourful sandstone patio to compliment that new lawn? Perhaps a new partition fence to support an elegant Passion Flower or keep out the neighbours dog? Leave it to us. Stone and wood structures blend perfectly into natural surroundings, giving a more soffisticated and practical element to any outdoor space. When it comes to designing your garden, the options are endless. Our first priority is to find out what you want and need vs what conditions are present in the garden. From there we'll bring together ideas and options of plants and designs that will do well in the given situation. Soil, light and moisture are the guiding conditions for all plants. With careful planning, plant selection and design, it is possible to create an abundant and beautiful garden in all conditions whether it be formal, contemporary, year round, flowering, sun, shade, water, woodland, culinary or themed. Light, moisture, soil conditions, location and maintenance are the components of a healthy lawn and garden. 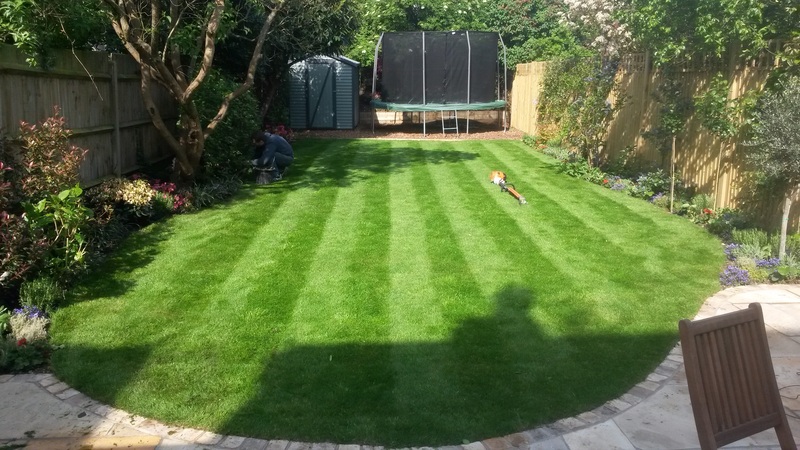 In the installation of a new lawn or plants around the garden, we consider the quantity of organic nutrients present in the soil, the drainage for the area, shade and any trees present, plus the anticipated foot and paw traffic. 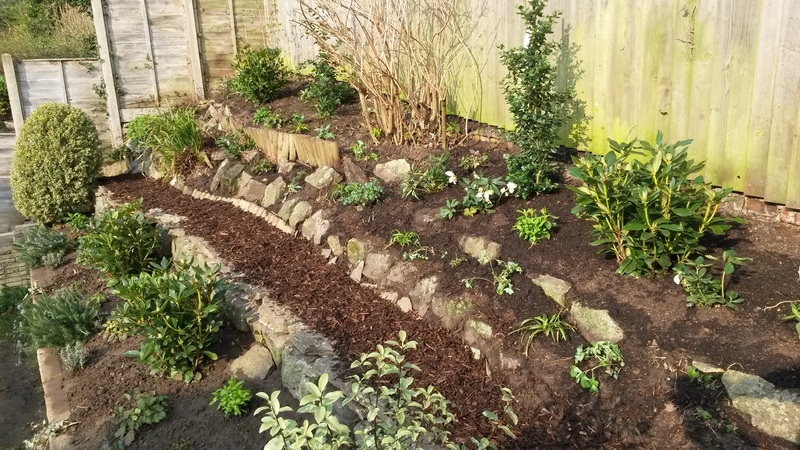 Whether you want to hand over the entire responsibility of your garden to us or just need a little extra help in keeping things under control, we provide everything from routine maintenance to seasonal tidy ups. No matter what you require, we show up on schedule and take care of it. 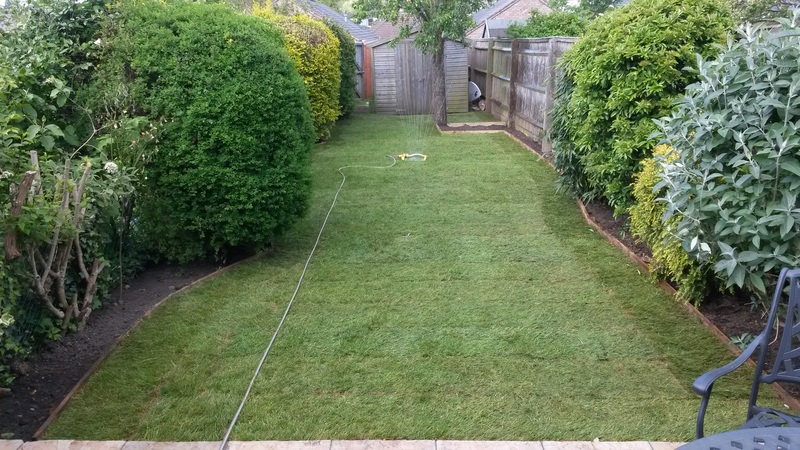 Our services include lawn-care, weeding, watering, feeding, soil conditioning, pruning, leaf removal and disposal of any waste. 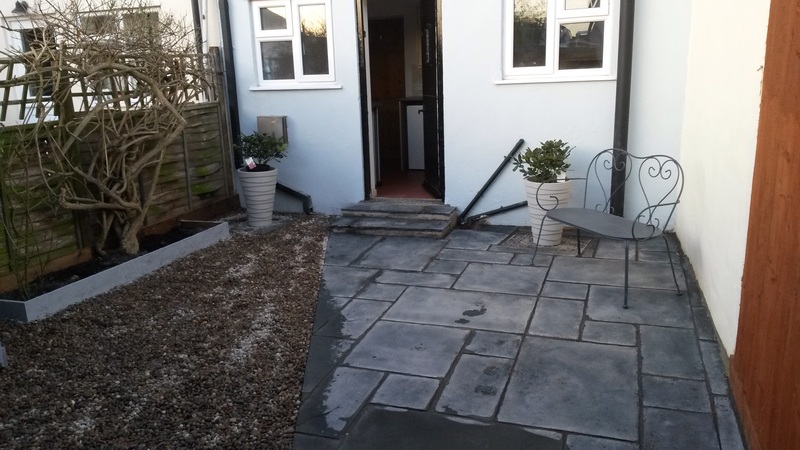 We also provide pressure washing, sealing and staining of exterior wood and masonry re-pointing, re-jointing and weatherproofing. 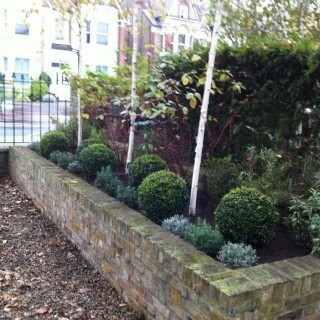 Like garden shrubs, trees of all sizes and varieties also need maintaining as they are a valuable aspect of any garden. From fruit trees and magnolias to the tallest oak; trees require periodic care in order to sustain annual fruiting or flowering. 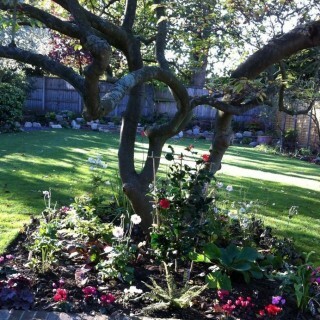 Services include pruning, shaping, crowning or tree and stump removal. Good soil promotes healthy plant growth. Leaf mould, composted bark and garden compost can be dug into the soil or spread across the surface, where weather and worms will work them in. 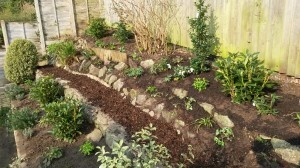 “Nate did a great job clearing up my garden, bringing it back from an overgrown state to being neat and tidy. Yet it doesn't look ripped and stripped to within an inch of its life - the job was done with care and sensitivity. I love it. Nate is great with his communications by phone, email and in person. 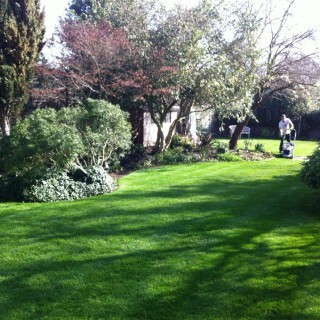 And now he's coming back to look after my garden every two weeks, to keep it in its current tidy state. He'll also be doing special projects on the garden from time to time. I recommend Nate highly." - Alastair Lord, Bishops Cleeve. “It was so refreshing to find a tradesman who kept in communication with me the whole time. Nate turned up when he said he would, was extremely polite, & is very knowledgeable about gardening, which helped as I know nothing about plants. 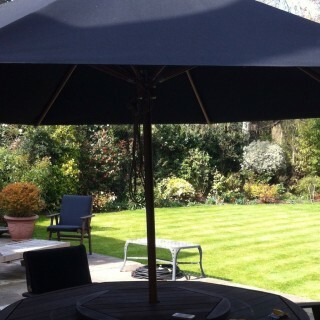 He also left my garden clean & tidy when he'd finished. I can't recommend Roots & Boots highly enough." - Sally Welzel, Gloucester. 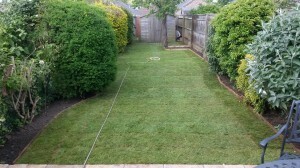 “Outstanding communication, first class job completed and excellent value for money. Who can want more? I look forward to using them again." - John Horran, Leckhampton.